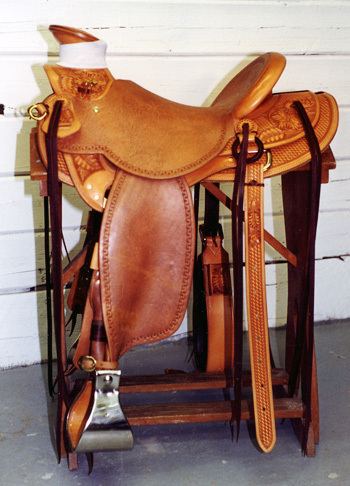 Saddle made for Buck Brannaman by Kent Frecker. This was the saddle I finally got right. I sent several saddles for him to try and make changes. This one he liked and that started the "Buck Brannaman" saddles by Kent Frecker. That was in 1998. This was a saddle Buck ordered just to rough up. It has the same tree as the one above. 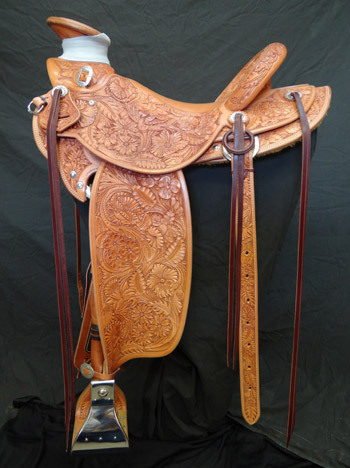 This is a saddle Kent made for Buck in 2013. It has Hamley Hangers in it. Buck said out of all his saddles, this one is now his favorite.